New. 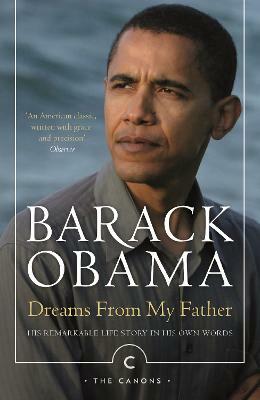 Barack Obama's number one bestseller in a new edition to tie in with the end of his landmark presidency. Series: Canons. Num Pages: 464 pages. BIC Classification: 1KBB; 3JJ; 3JM; BGHA; JFSL1; JPHL. Category: (G) General (US: Trade); (P) Professional & Vocational; (U) Tertiary Education (US: College). Dimension: 130 x 201 x 33. Weight in Grams: 342. 2016. Main. Paperback.....We ship daily from our Bookshop. New. 1782119256 Brand New Book, Express Shipping, Customer Satisfaction Guranted. I read this book before but lost it! I was happy to finish again! I voted for Obama, but was disappointed in his views. Not what you would think of for our President.. I don't even feel as if I should give this any type of star rating but I am required so I give it 2 stars. A bit disappointing for me and maybe it was because of Obama's narration...I'm just not sure. It just seemed to drone on and on for me and when I got to the part I was looking forward to (Obama travelling back to Africa) I realized I wasn't really listening anymore so I just decided to stop (and I only had 1.5 CDs to go). I was also a little turned off by the "unofficial" campaign blurb he gave in the first 3 tracks before the narration began--not necessary to the story. Too bad, I was looking forward to this one but maybe I just couldn't relate or perhaps I would have done better if I'd experienced this as a printed media rather than an audio one. Still, as he is our current president I would still recommend to others to read (but not listen to). Truly enjoyed this novel. It was very relaxing to read. Clear insight into the making of a leader.